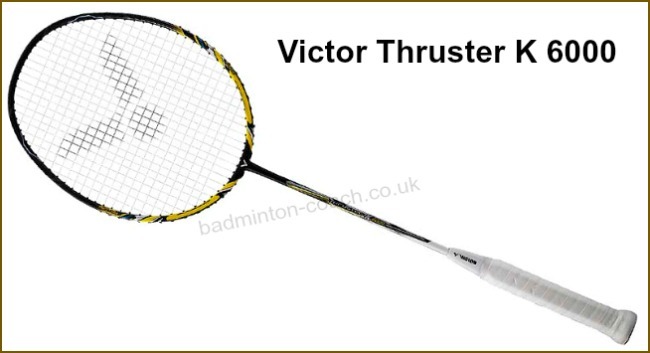 Hot on the heels of my last review of the Thruster K 8000 badminton racket, Victor Europe has released the new Thruster K 6000. Surprisingly, I was presented with the 4U G5 version. Measuring 89g with string and grip and with a BP around 313, this is an extremely tall Victor racquet. Specifications are 5/5 head weight and 3/5 shaft stiffness. Overall an interesting combination and one that has possibilities, if it can perform. Thankfully Victor Europe decided against a3U version which would certainly have raised questions. Thruster K 6000 is an attractive racquet with one of my favourite colour combinations, black and yellow. Excellent graphics and a nice white grip for contrast although I wonder whether yellow would have worked better. Perhaps a test for another time. Unlike Thruster 8000, the 6000 is accompanied by a full length cover in black and silver, a new design which is also now used on Bravesword LHI. Very nice. All higher priced Victor racquets are delivered unstrung but with a single set included. I like this idea as most players prefer custom stringing. 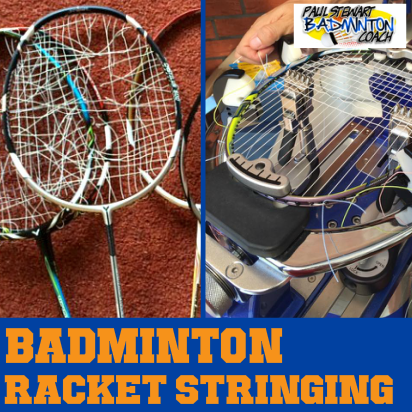 The racquet was strung at 25lbs tension without prestretch using Victor VS800 string, a 0.7 gauge string. I’ve not used this string before so I have no knowledge of its characteristics. From memory, i’ve never tested a 4U racquet with these specs so I’m into uncharted territory. The initial feel is this is a light racquet with a strong frame. It’s feel incredibly quick which belies its specs. Unlike the Thruster 8000 which required a fuller swing, Thruster 6000 provided the power irrespective of my swing. This is really fast in the swing and yet I can feel the head weight is all there to pack a punch. Because it’s so good overhead, there’s almost a danger here of being too complacent with your technique because you know a quick snap and the shuttle’s on its way to your opponents rear court. That said it will reward good technique all day long. I said earlier this was a strong frame and reminds me of the wonderful Z Force, without the weight or stiffness. The feel on impact is that solid, which ensures the shuttles remain on course even when hitting off centre. There’s also a smattering on AT900T too. Drop shots were so solid, crisp and a real delight because the combination of speed with strength works so well together. With TK8000 technique was essential to unleash the power of the racquet. You had to get on top of the shuttle to generate power downwards. TK6000 is a different beast altogether and I would say a far better alternative. This is where TK6000 excelled. The combination of head weight and the 4U spec worked like an exocet on a demolotion mission. This racqet allows you to really open up and use snappy, wristy smashes or the bigger wind up. Consequently, TK6000 opens up the angles on the smash that I hadn’t realised I wasn’t quite getting with other racquets. There is a danger of overdoing it and snapping the shuttle into the net, however, in general I was smashing steeper if I wanted which is a huge achievement for a player of my height. Is it the most powerful racquet I’ve ever used? That’s tough to answer because I can’t do like for like tests, but it comes close. Possibly Meteor JJS and a couple others hit harder but there’s little in it. Fast, flat rallies and drives were simply amazing. Lots of control, easy to get over the shuttle, change the angles on the racquet face, pull a few from behind me and yet there’s still that solid powerful strike with no signs of lag from the medium flex shaft. Defensively Thruster K6000 is a star performer in the head heavy category. Whilst I’m comfortable defending, there wasn’t an occasion when I didn’t get my racquet to the shuttle. The speed generated gave the power for drives and low trajectory lifts, or powering up to the rear court with loads of height. And yet, the head weight ensured I could control blocks, steering the shuttle where I wanted. Again, the rock solid feel on the racquet face upped the level of control and placement. I expected the head weight to be the racquets achilles heel at the net but I was wrong. There’s all the speed I require, solid feel and no issues whatsoever when reflex or the odd rush of blood opportunity beckoned. TK6000 will move like a rocket over short distances. Practice serving proved interesting too as that solid face delivered a really nice controlled low serve and a simply to execute flick or drives. When I reviewed Meteor JJS I thought I had found my new best friend in the Victor camp. I was wrong, I found my new second best friend. With Thruster K6000 I discovered a racquet that allows me to play with more expression, opening up possibilities that had previously been buried or hidden. It’s an exciting racquet that allows you to be creative and yet has all the attributes to get you out of trouble. The phrase “I was blind and now I can see” kind of sums up my thoughts on Thruster K6000. What’s frightening here is that I believe the racquet is capable of more. Whilst 800 string is nice, it’s not as lively and responsive as VS850 or NS880. I really want to supercharge TK6000 by restringing at my preferred tension and see if I can squeeze any more out of it. What this racquet has made me realise is that there is another level. Meteor JJS was certainly very close, but it makes me want to reduce all of my scores by half a star. Thruster K6000 would easily be my six star racquet, but that’s not how my scoring system works. RRP is around £160 and I see online retailers are selling for £115 which is a bargain. I appreciate TK6000 won’t suit everyone. However, this combination of head heavy, medium flex, 4U works like a dream. One of the concerns I expressed to friends is that since moving to Victor I received a number of their racquets and each has received a high score from me. This could easily be misconstued as bias, hence my reason for writing this. The only way my reviews carry any weight is because I am honest and will continue in this manner. Consequently, I stand by every review I’ve written. Now I’ve stated my only concern, it’s time to rate TK6000. If Victor had launched this racquet as a 3U I doubt I would be raving about it. This opens up another discussion point why we do not have the choice of weight that’s available in Asia, but that’s for another time. I wish we did as I suspect more 4U head heavy racquets would be purchased to provide similar results. I’m proudly, with a fanfare and drum roll, rewarding Thruster K6000 a 5 star plus rating, my first ever! If you get the opportunity to test TK6000 then please do so because you may discover a new best friend on court as I have. I have both kt6000 and LYD. I seriously cant tell much difference. there isn’t much difference but I expect LYD will swing faster as it’s a Bravesword. I have started playing badminton 2 months ago after 15 years. I wouldn’t I am a beginner but still learning technique. I usually play doubles and half court singles. Right now I am using Nanoray 10F and I think it is time to upgrade as there is lack of power from baseline. I am considering TK 6000 in 4U but am little bit concerned about the head heaviness especially while playing front court in double. 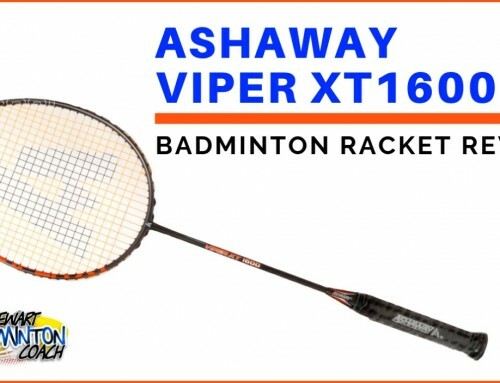 I know trying out various badminton rackets is the best option to choose, but I wont be able to do that. Can you please tell me whether TK 6000 is good option for me or not? I am considering Bravesword 12 also but concerned about the price. Jay – TK6000 is a fine racket. Considering you ar relatively new to the game I suggest you watch my armchair videos. If you follow these exercsies 2-3 times per week I’m sure you will get used to TK6000 and find it a very rewarding racket. Moving from my 3U first generation Z force (sadly clashed and broke), having tested the TK 9000 and LYD I really like both. I will try to test the 6000 and 12 soon and compare them, but I can’t decide haha. One racket gives me really good speed, the other massive power so I’m cringing at which one to get. Maybe after testing all of them I’ll get a better feel of which racket feels better for me. I have relatives overseas right now helping me get rackets, but I may have to tell them which racket I want before testing all of them sadly. Moving from my previous racket, maybe less stiff and slightly faster/responsive. Thanks for your help! Did you end up getting any of those rackets? Also, for the record, I found the TK6000 and TK9000 much more powerful than the Z Force 1. Great question. There are so many options here. You could use BS12 and insert Powerizer to provide additional weight. This way you can test the extra head heaviness and decide exactly how much weight you prefer. I have no idea whether you like stiffer rackets. With both Thrusters being fast frames but not as fast as a Bravesword you have to consider what’s important. Both a powerful but will not be as snappy as a BS12. However they most likely hit harder. Also if you want more head weight from a Bravesword what about LYD? Hi Paul, thanks very much for the great review. I’m having great difficulties in sourcing the TK6000, can you suggest a good stockist? Thanks. If you are in the UK then I suggest Badminton Central as they have a great offer at £120 including a free tube of Gold Champion shuttles. Obviously this is whilst stocks last but it’s worth a go. 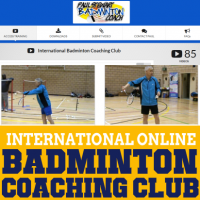 The alternative is http://www.badmintonbase.co.uk. Ben will look after you really well and you will get a more personal service from him. Good luck and please let me know who you buy from. I am in the market for a new racket.My racket of choice for the last few years was the bravesword 11 and i was very intrigued by this review. Would the k6000 be very close in spec to the bravesword 11? or would the mx range be the way to go? BS11 is quite stiff but certainly not as head heavy as TK6000. Finding a equivalent to BS11 is not so easy. Possibly Jetspeed 8 PS would be closer but it’s a lot more money. Out of MX range you’d have to look at 90 as 80N is way too stiff as a comparison. It’s a tough call here and I think it may be best to read my article on choosing a racket and then from your analysis return to me. You will have different questions then based on your findings. Bought this racket on Paul’s recommendation, and have to say its proving to be one hell of a racket. Have only used it twice so far, my club night with the standard grip (which i personally found uncomfortable) and for a league match with an over grip. Wow, it is truly an amazingly balanced racket, not only has it increased my smashing power by 20%, my speed at close net exchanges is incredible, its a joy to play with. I have found I’ve been over hitting flick serves and the occasional clear, but will soon get used to that. Have caught a couple of smashes on the sweet spot and its doesnt half make a bang. I admit i only had a £50 carlton racket before so its the first time ive played with a higher end racket, but dont think i could have chosen any better with the £120 it cost me. Money well spent indeed and thanks so much for your advice Paul, cant wait to get back out on court again! my earlier concern about the headweight of TK6000 was unfounded. One need to not pay too much attention to the specs and go with how the racquet performs. TK6000 4U is spot on and I am really glad I’ve got this one. The slim shaft and frame allows for great maneuverability so although its a head heavy racquet its still fast enough for doubles play. I now have TK9000 for testing and it’s already proving to be a stiffer version of TK6000 – very nice. The difference appears to be that TK6000 has a shorter handle and therefore longer shaft. No doubt there are material differences too but it’s the flex in the shaft that is noticeable and testable. Thanks a lot, you really shared all the information I was looking for selecting my next racket. I will order Thruster K6000 4U and let you know my experience once I get it delivered. Actually, I made my Voltric a little less heavy yesterday by adding 4 gms of lead tape at the end of the racket handle (balance point changed from 300 to 290) and liked the way it played .. it still delivered equally powerful smashes as before and become a lot easier to maneuver while driving. Hence, I can do the same with Thruster K6000 if at all I would find it too head-heavy. Thanks Paul for the help. I had recently started doing your arm chair exercises and they are great. I had also read your review about Meteor 90, which you had rated very high too. Which one, Meteor 90 3U or K6000 4U, will be closer match to BS 12 in terms of racket speed, control, and maneuverability while offering more beef from the rear court smashes? Also, apart from the technical specs, would K6000 4U feel more head-heavy than Meteor 90 3U while playing? Many thanks for your question and I am delighted you have discovered the armchair exercises. I felt TK6000 was a faster frame, especially as a 4U. However TK6000 is certainly more head heavy than MX90 which would therefore place MX90 closer to BS12 for head weight. That said, TK6000 has a medium flex shaft compared to the stiffer version on MX90 which would mean TK6000 is closest to BS12. Confused? That what happens when you place two rackets in comparison with another. Specs aside I believe both TK6000 and MX90 are superb rackets. If you are bothered about head weight then go for MX90. Otherwise TK6000 is a great choice. Good luck and please let me know which you choose. 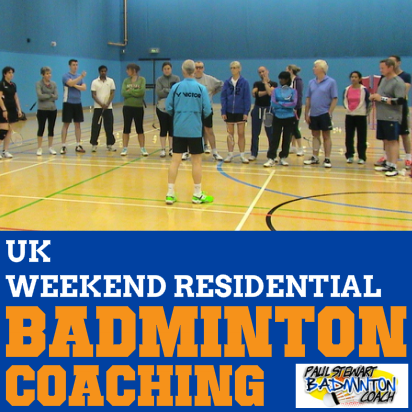 Firstly, I would thanks you for sharing excellent reviews to help the badminton community. 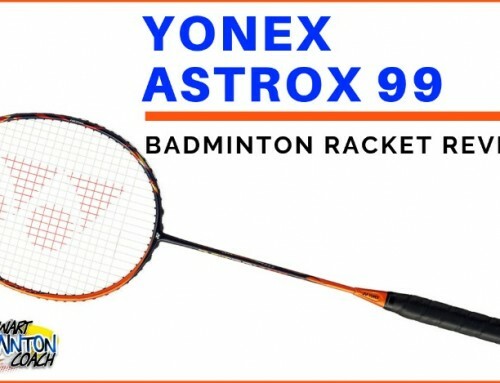 I had purchased two rackets in the past based on your reviews (1) My first racket, Voltric 5 3U, which is a good racket but I get my arms and wrist fatigue after a few games. (2) Then I bought BS 12 3U for better speed and stability/control. It was indeed a very good racket for me. I had added lead tape at 2 and 10 o’clock position to extract power in back-court smashes as I need a little head heavy rackets for smashes. Thereafter, this racket was lovely in all departments, but unfortunately I broke it in a collision last week. 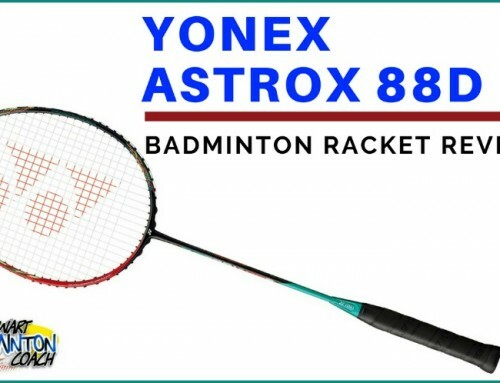 Now, I am looking to buy a new racket which is head-heavier than the BS 12 for back-court smashes, however not as heady heavy, a bit quicker, and more stable than Voltric5 3U. I am considering Thruster K-6000 4U as my next buy with a view that it can offer BS 12 like easy play-ability plus more smash power. Request you to please guide if it would not be more head-heavy and demanding to wrist play when compared to the Voltric 5 3U. I know it is getting long, but at the same time I believe that I need to also tell you about my playing style, if I expect any good advice. I started playing badminton one year ago and play mostly doubles. I consider myself a forecourt / midcourt player and like to play fast game using more wrist in the net drops, drives, and check smashes while intercepting opponents’ drives. However, from the back-court I usually rely on drops and smash using shoulder strength. Thanks for your comment and question. I would say TK6000 is heavier in head than VT5. However, 4U TK6000 seems a faster frame than VT5 so it’s hard to judge whether you would really notice it. For me TK6000 is a more solid hitting racket than BS12 and surprisingly fast. BS12 is a good racket and I’m sure you got more from it by adding the weight. 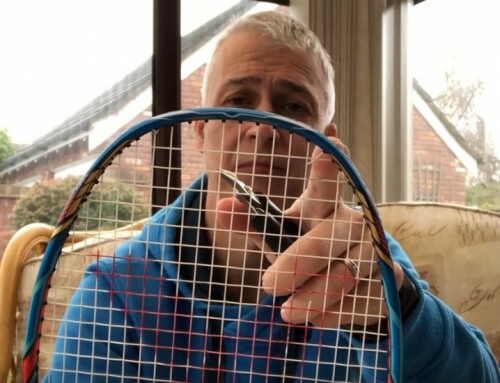 If you find the racket a little head heavier than you wanted, then I suggest you spend more time doing my armchair exercises and you should find a huge difference. If you like JJS then you’ll like MX90. I tested it Sunday and last night and it was great. I would happily use this racket if I was asked to. It’s got power, touch, control and it’s a shame I haven’t got MS JJS to test directly against it. With regard to TK6000, I took it along to the club and allowed some of the better players to have a go and boom! boy could they hit with it. All remarked at the tremndous power and control which brought a smile. At least I’m not the only one who recognises what this racket is capable of. Faced with a choice between TK6000 and MX90 is not easy. Please do not expect me to choose for you. The good news is whichever you select it will be a brilliant racket. Please let me know which you went for. If you choose 4U version then you will encounter a completely different racket which behaves much better.It’s snappy, fast, easy to control – quite simply I really love it. My review of MX90 will be posted next week. Awesome racket, simply awesome. A good example is, I was pushed to the rear of the court, the shuttle had dropped behind me, low on the forehand. I was able to dig it out and hoist a full court clear and get myself clean out of trouble. It’s a GREAT racket. Thanks again Ben for the demo. I can only agree with you! For me it’s great to receive comments like this as they support my review. It also proves I don’t write them to please a sponsor but just provide an honest opinion. I’m totally hooked on TK 6000 and MXJJS. I’m told Victor Europe has already sold out of TK6000 but expects new stock within 2 weeks. Here’s wishing you many years of enjoyment playing with TK6000. How much TK 6000 weights? If it weights like TK 8000 (94gr) don’t you think it’s a very heavy racket? I’m thinking of buying LIGHT FIGHTER 7400, what’s your opinion about this one? When can we have a relative review? Greetings to you and all of my friends in Greece! TK6000 weighed 89g with grip and string so is much lighter than TK8000. And, for me it’s a far superior racket. I am about to test Lightfigter 7400 which is in my bag. I had my first hit last Monday. It weighs in around 80g which is very light. I like the weighted head and with such a light frame I feel the racket needs it. The weight provides an element of solidity. Timing was easy. 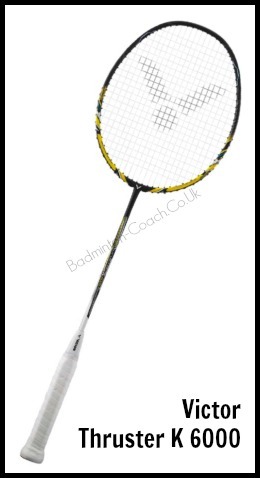 For me this racket suits a doubles player who loves the net or defending and counter attacking. It’s not going to provide big smashes although it’s pretty powerful. However, around the net and in defence its fabulous! I haven’t the time to write my review yet as I need more hitting time with it. But i have a priority in the new MX90, MX ?? and Yonex Nanoray Z Speed. Depending on your game 7400 could be very good however I can recommend TK6000 all day long for doing a far better job than 7400. Please let me know which racket you choose. 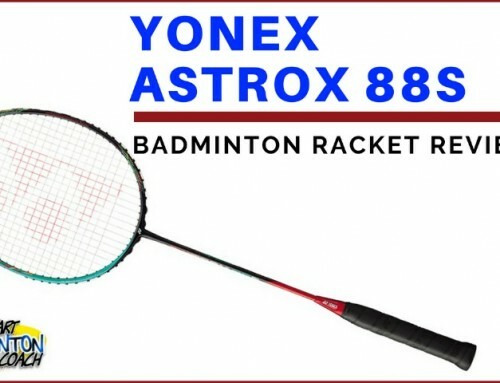 My previous racket was Yonex armortec 600 (unfortunately it broke due to high sting tension on it..). AT was almost ideal for my style of play, so do you think TK 6000 would be equal or maybe better? Yonex had a real winner in AT600. Sadly Voltric 60 was not a replacement as many felt it would be. Personally, and irrespective of my contract with Victor, TK6000 is far superior. Please accept this as my opinion although from comments already posted it’s clear other players have the same opinion of this racket. PLease let me know if you order one. It doesn’t help with my sponsorship, it’s just that I like to know whether a player actually takes action or not. After your comments i decided to go for TK 6000 rather than Ligtfighter 7400. Unfortunately not many e-shops deliver in Greece..
Of course i don’t ask you to tell me where to buy from! Can you purchase from Europe rather than Asia? 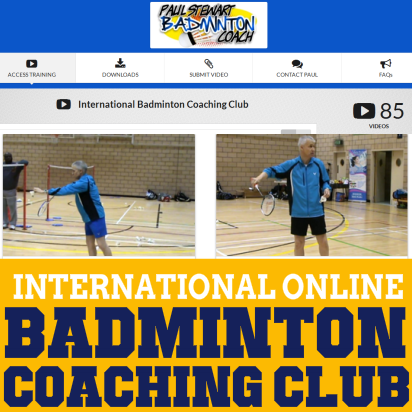 Try http://www.badmintonbase.co.uk and mention to Ben that you have come through my website. I do not received commissions of any kind but at least he knows how you got to him. Aside from that, try Direct Sports or Central Sports. I have heard of Racquetforce and looked at their website although I have no idea what their service is like. Remember you will be importing if you use Racquetforce and therefore possibly subject to import duty payments. Good luck and please let me know that you have received your racket. Also let me know where you eventually bought it from. What this is doing so low in the TK range is beyond me – Victor could have called this the TK9000 and nailed another fifty quid on the price, and got away with it. And part of me wishes they had, because this thing deserves a LOT more attention than it will get being stuck at the BOTTOM of the range. The highest effort-to-reward ratio of any racket I’ve ever used, and I’ve used dozens. Are you THE racket testing partner of coach Paul by any chance? The hard hitter? Just curious. Thanks. I have two Marks who i test rackets with.